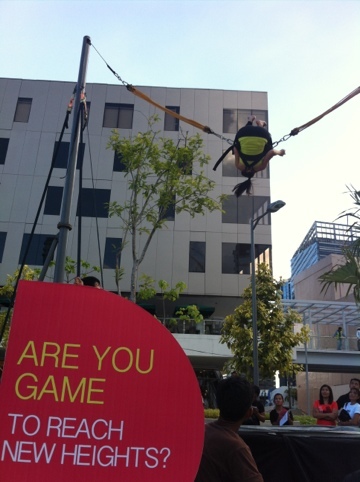 Women’s Health : “Are you game?” Event : wöw! I had a blast yesterday with friends at launching of the Manila leg of Women’s Health “Are You Game?” event. It was a scorching Saturday afternoon but it didnt daunt the hundreds of Pinays who trooped down to Bonifacio High Street Amphitheater looking for practical and doable ways to get fit and healthy. Pinays of all ages, sizes and shapes gamely particiated in all the activities that the Women’s Health team put together. 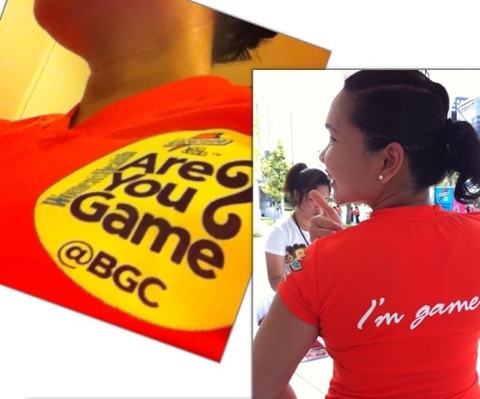 “Are You Game?” is the signature event of Women’s Health usually held in New York, Chicago, Sydney and now Manila. Yipee! After registering, Roselle and I joined the partner yoga class. The participants gamely waited for the class to start. Nervous, excited and just game for fun, innovative and alternative workouts. I think we all surprised ourselves on what we can accomplish when we put our minds to it. We all tried complicated poses. Headstands! Crazy! Ta-ra-a-ay!!! We all felt so empowered! Lara Parparan, WH editor-in-chief, manned the weight loss go-see. Looks like WH will be treated to a new inspirational series. Wanting a spot behind the photo booth, Roselle, Vimz and I ended up queueing at this booth, too. 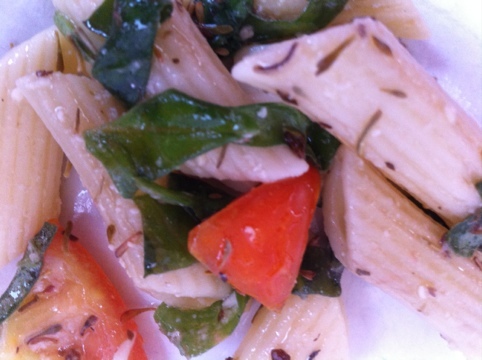 And check out this uber delicious and easy to make penne pasta salad. It took less than 10mins to prepare. Chef DJ demonstrated how to preprare this salad McCORMICK products. We got to taste the finish products and went away with our own stash so we could try doing it at home. 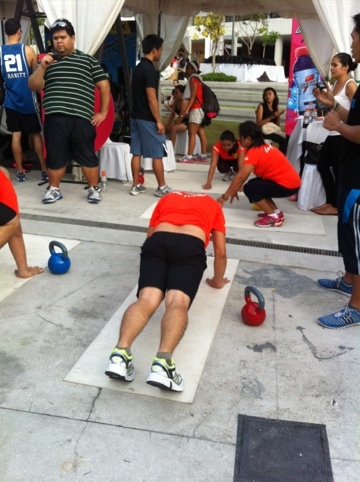 I wasn’t brave enough to take on the Kettlebell workout. Watching these peeps made me sooo tired already. 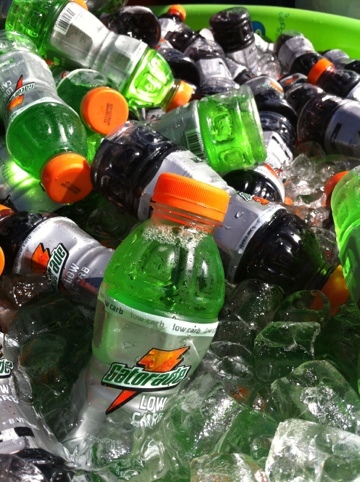 To help beat the heat, co-presenter Gatorade Low Carb provided endless supply of ice cold grape and lemon lime thirst quenchers. My favorite is the grape flavor. It was so hot, I finished 4 bottles. 2 liters!!! NO PICTURE but the Cardio Mash Up was definitely my favorite activity. It was a dance class with lotsa booty tooch-ing. Fun! Thank you and congratulations to the Women’s Health team for putting up such an awesome event. Looking forward to attending next year. Bring it back, bring it back please!!! And if you don’t have the May issue, grab one now. I’m loving the Beach-Body Boot Camp article and will definitely try the circuit training plan. Great to meet too! Twas great fun!